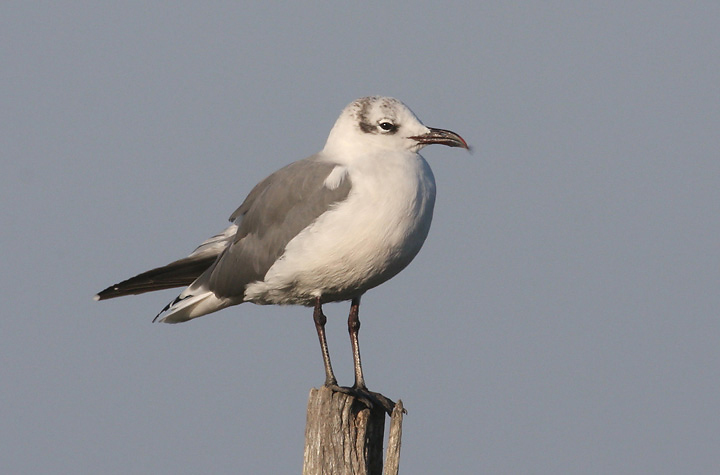 Eastern Shore of Maryland, including the Assateague Big Sit. 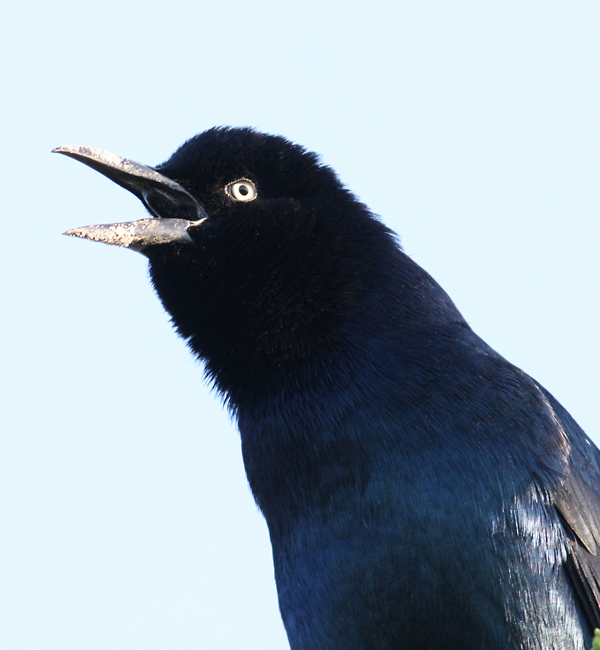 Last updated: 10/15/2007. 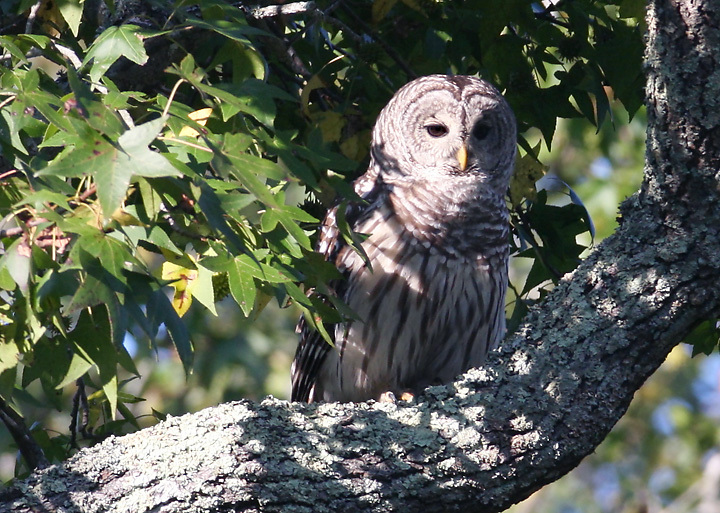 Above: A Barred Owl human-watching near the Nassawango River in Wicomico Co., Maryland (10/14/2007). 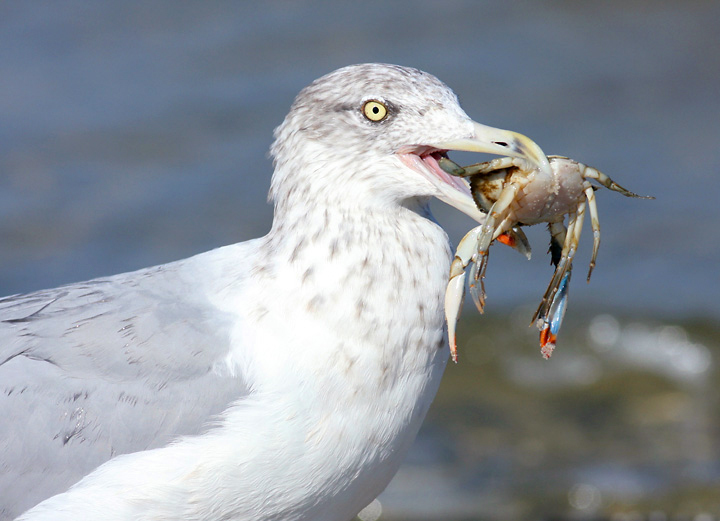 Below: A Herring Gull poses with its prize feast - easy living on Assateague Island, Maryland (10/14/2007). 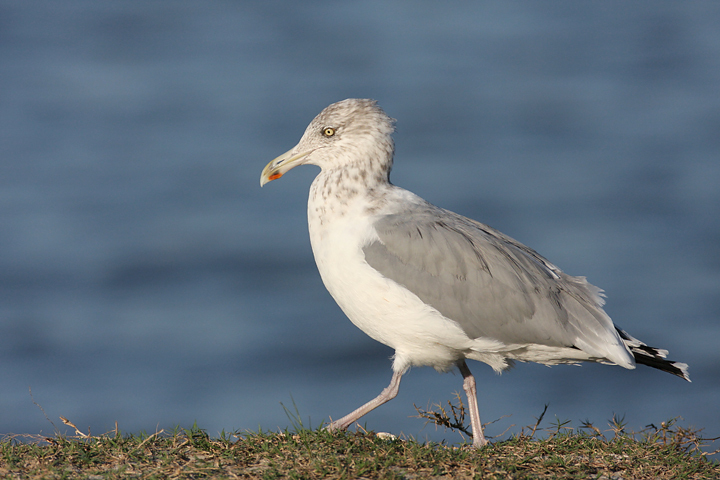 Below two: A Herring Gull strolls the beach on Assateague Island, Maryland, 10/14/2007. 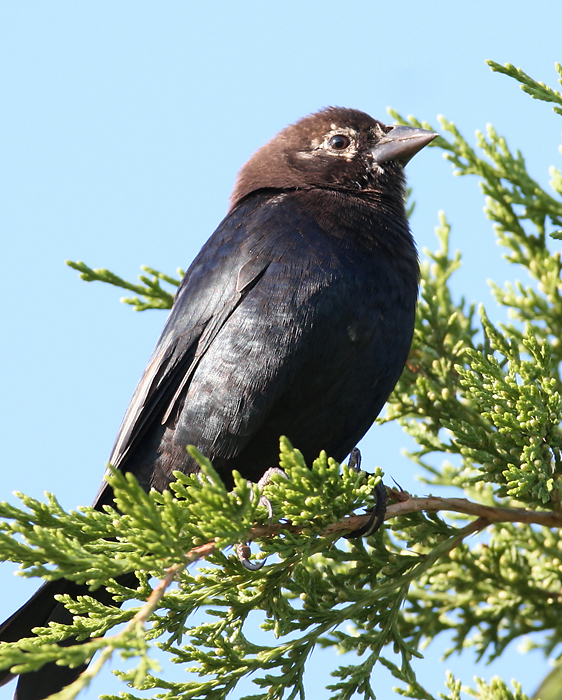 Below: A molting male Brown-headed Cowbird warms in the morning sun on Assateague Island, Maryland (10/14/2007). 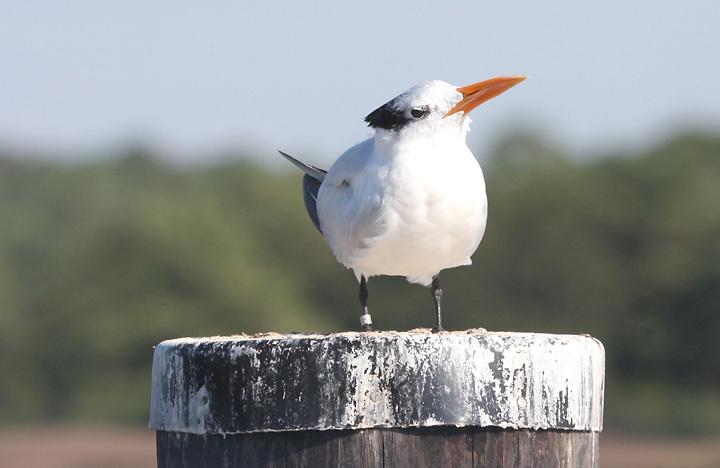 Below: A Royal Tern perches on a piling on the Somerset side of the Whitehaven Ferry, Maryland (10/13/2007). 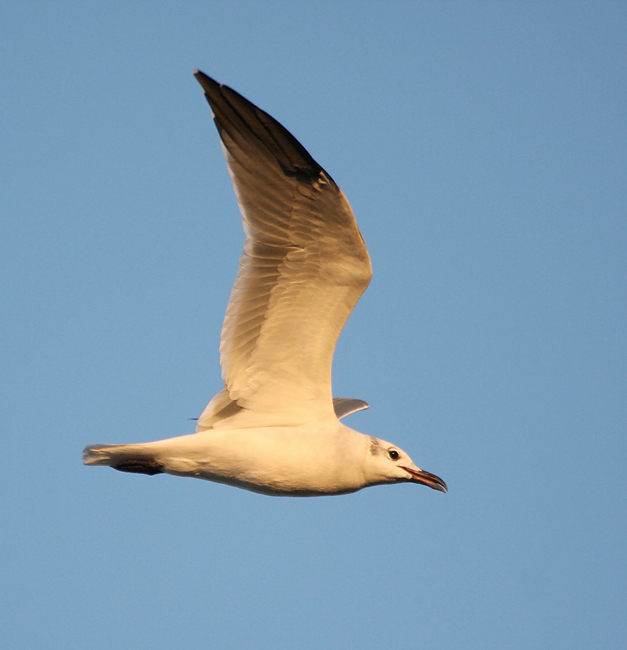 Below two: Laughing Gulls at dusk in Somerset Co., Maryland (10/13/2007). 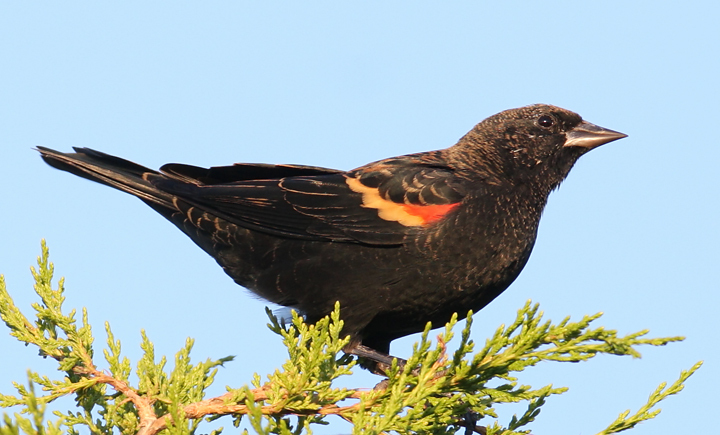 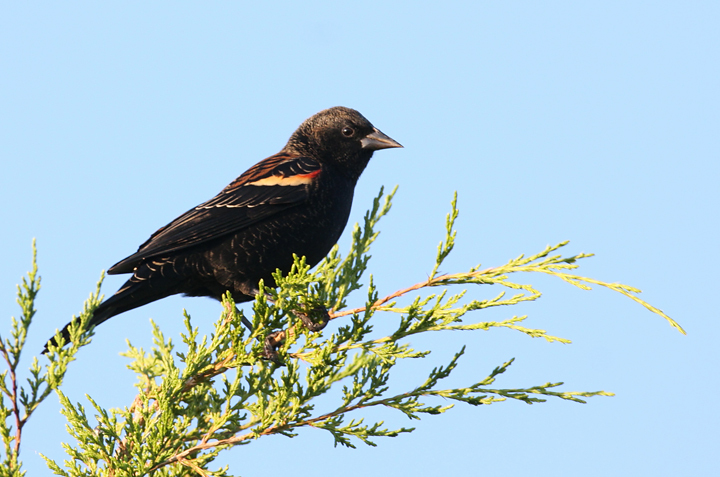 Below two: Male Red-winged Blackbirds on Assateague Island, Worcester Co., Maryland (10/14/2007). 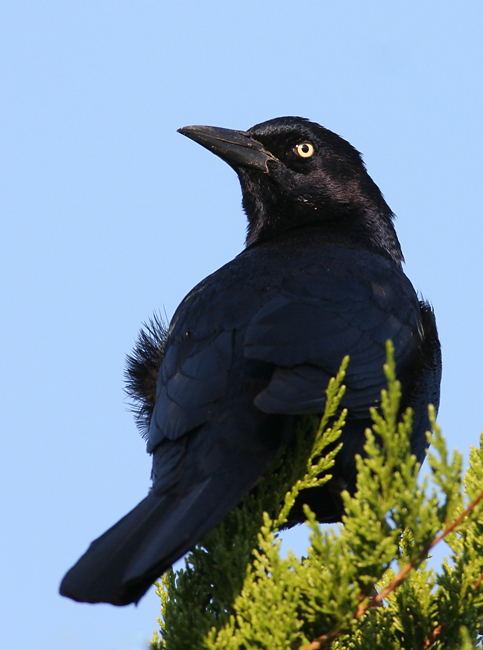 Below three: They have returned. 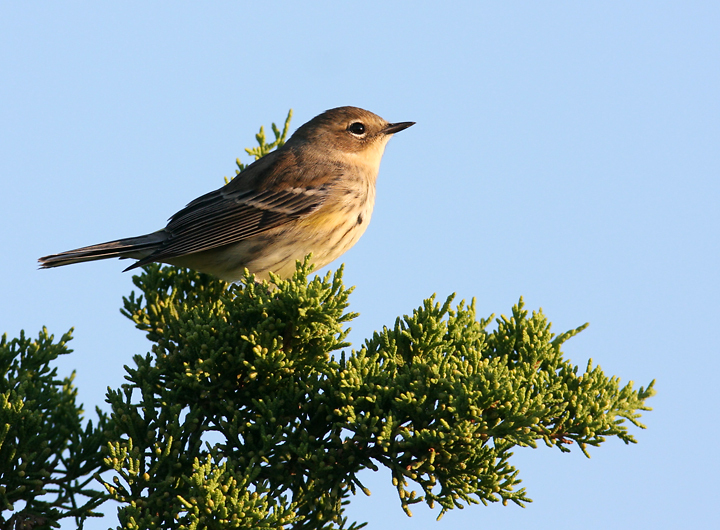 The hordes of Myrtle Warblers again lay claim to their winter home on Assateague Island, Worcester Co., Maryland (10/14/2007). 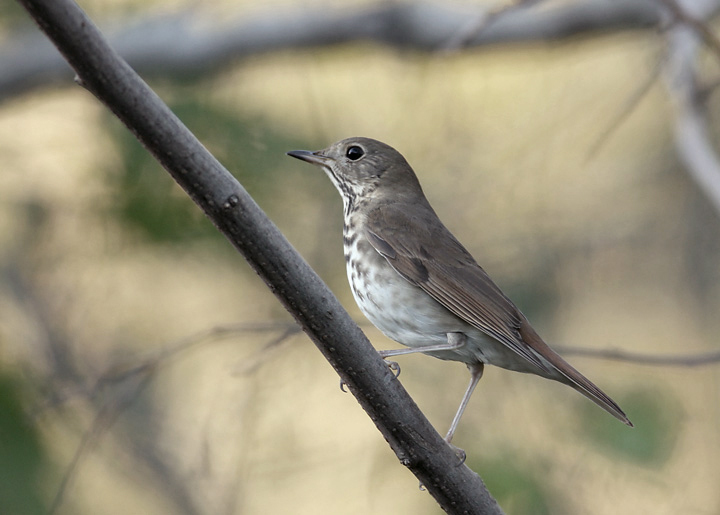 Below: The vanguard of Hermit Thrushes reaches the Eastern Shore of Maryland (Somerset Co., 10/13/2007). 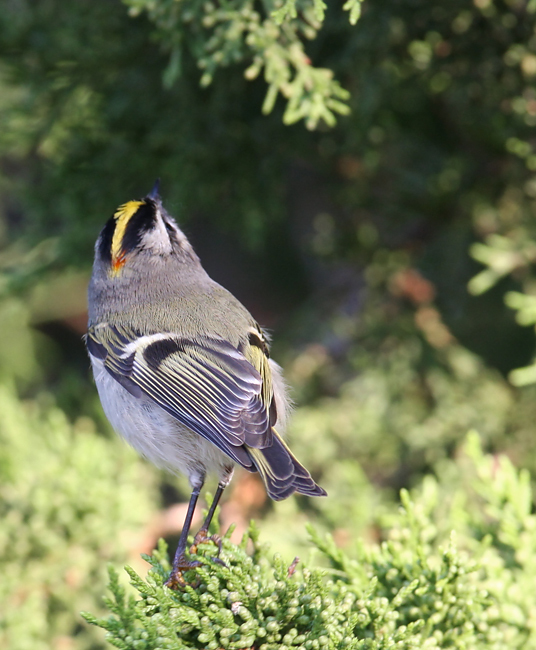 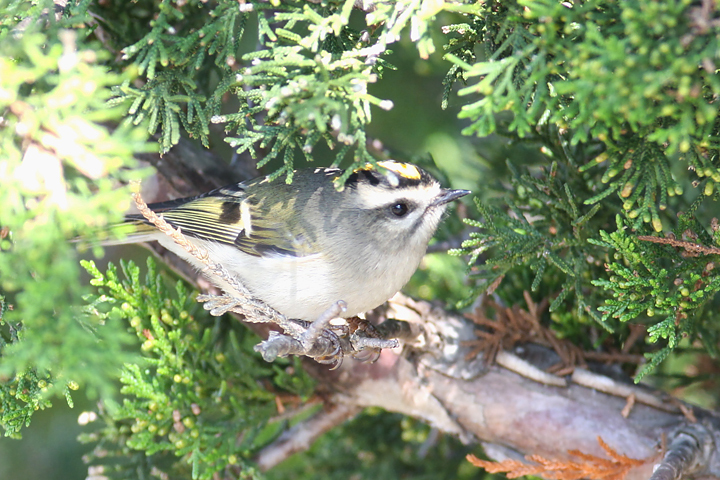 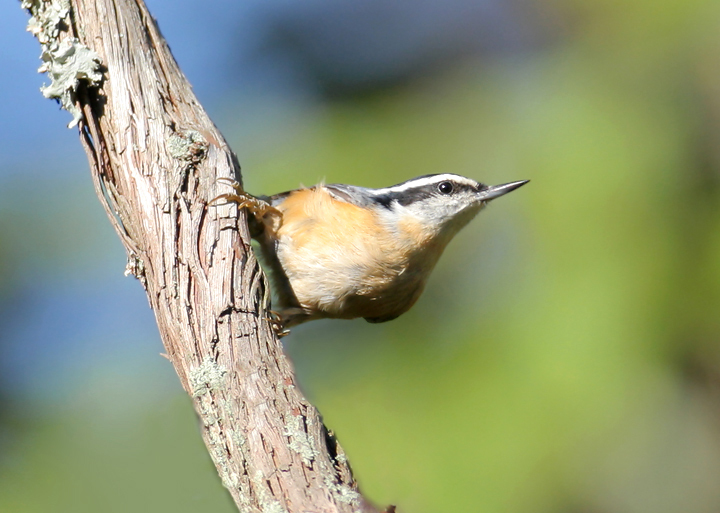 Below two: A Golden-crowned Kinglet foraging on Assateague Island, Maryland (10/14/2007). 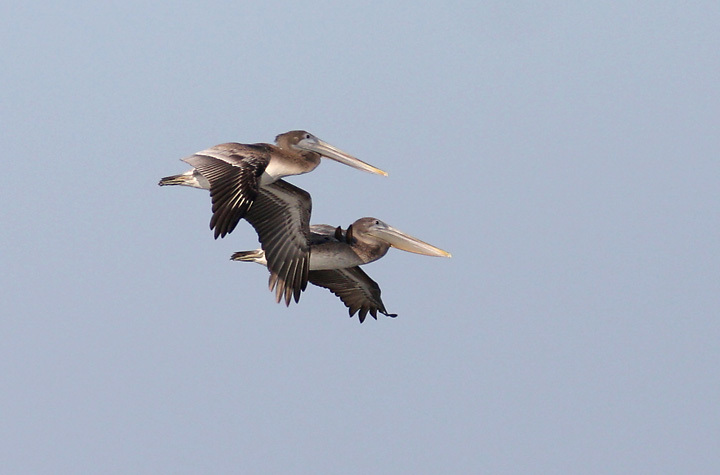 Below: Brown Pelicans in flight off Assateague Island, Maryland (10/14/2007). 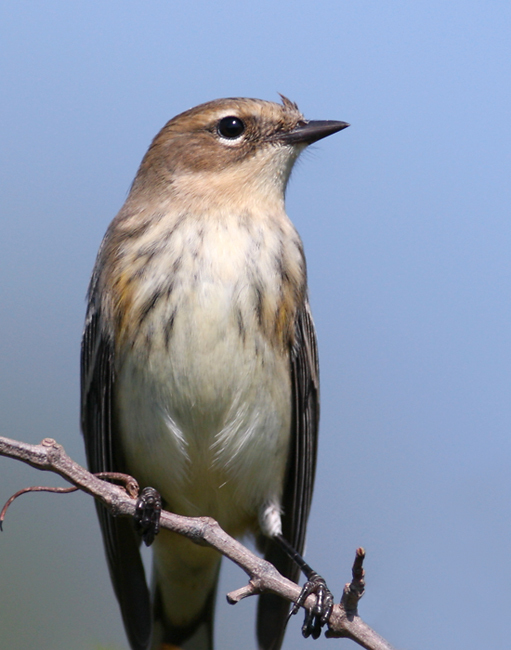 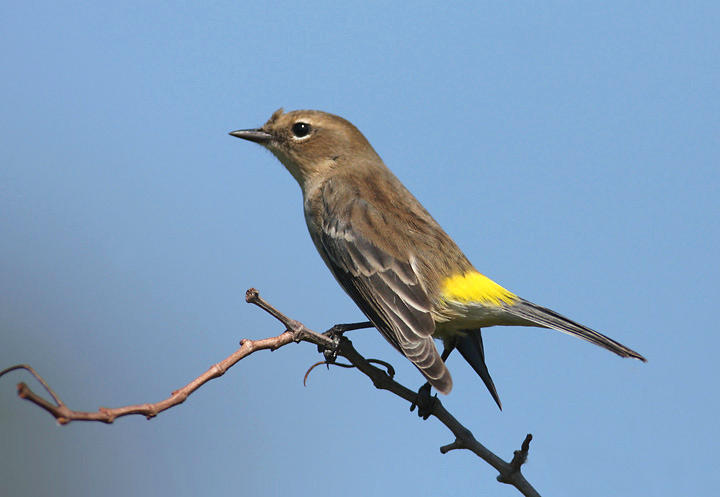 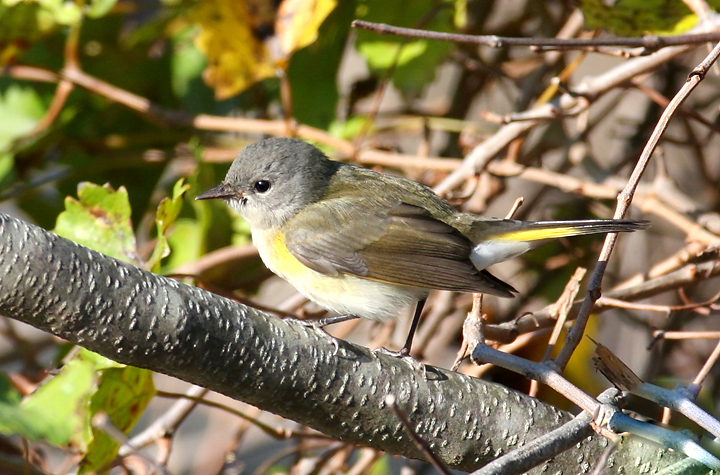 Below: An American Redstart on Assateague Island, Maryland (10/14/2007). 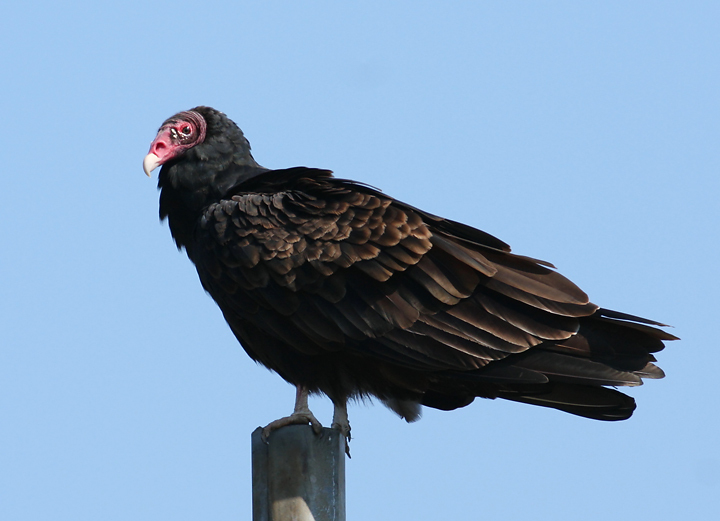 Below: A Turkey Vulture in Worcester Co., Maryland (10/14/2007). 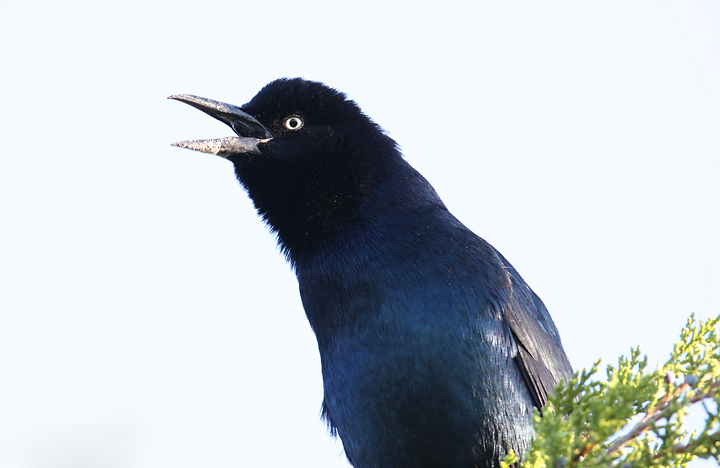 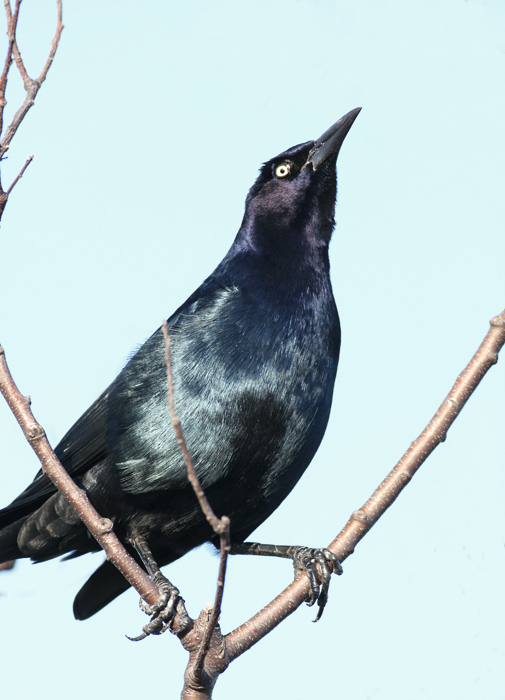 Below five: A male Boat-tailed Grackle causing a general raucous on Assateague Island, Maryland, its call reminiscent of shaking a can of spraypaint (10/14/2007). 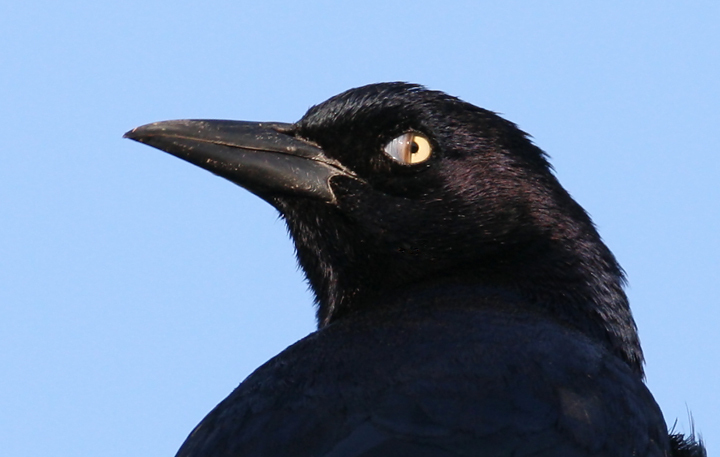 "Do birds blink?" 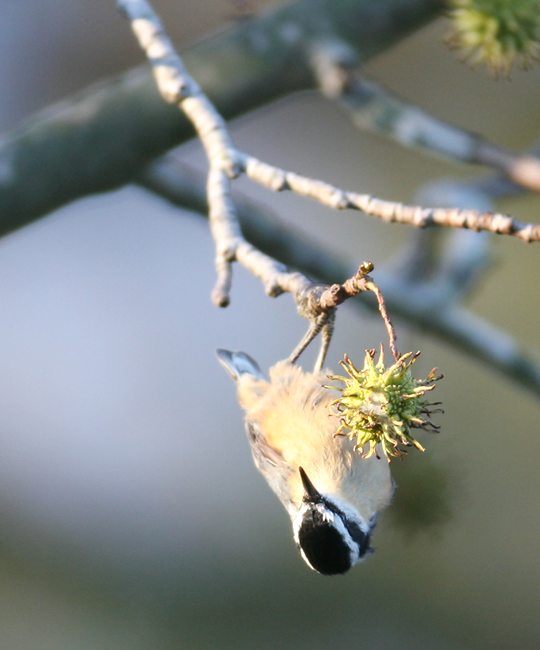 Finally I took the exact photo I've wanted for addressing this question. 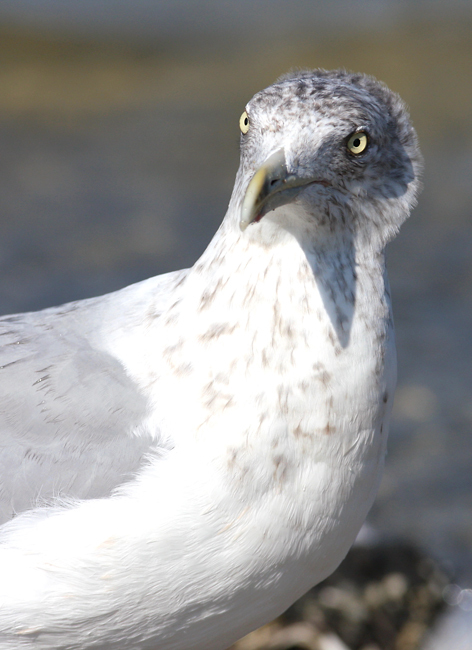 I'm still scratching my head on my personal favorite nature question I've heard, though: "Do turtles dream in color?"